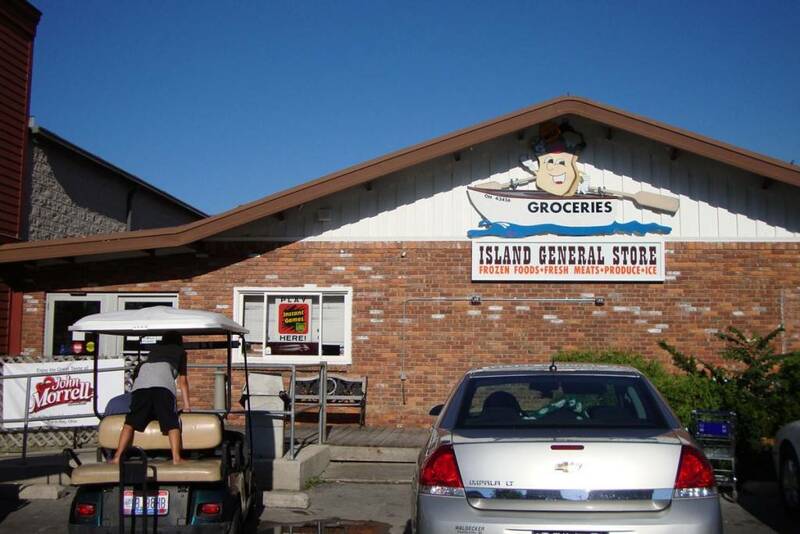 The Island General Store is the island’s only full service grocery. Here, islanders and visitors alike can choose from a wide assortment of offerings. Fresh produce, hand cut steaks and more await hungry travelers. Finding this store is easy. The location is just around the corner from the downtown Put-in-Bay strip. Moreover, the Put-in-Bay Police Department and Put-in-Bay Town Hall are directly across the street. This corridor has seen much growth over the last ten years. Bars such as Hooligan’s, Mojito Bay and the revamped Reel Bar are relatively new additions to the scene. Also, the Forge Restaurant is another new dining option. Inside, the Island General Store has something for everybody. Looking to cook breakfast? There are eggs, bacon, biscuits and more to feed your hungry bunch. Wanting to have an affordable lunch for the whole family? Stop in and pick up a fresh loaf of bread, lunch meat and chips. Head over to the nearby DeRivera Park for a lovely picnic. Lastly, if a cookout is on the agenda, they have everything one would need. Steaks, burgers, hot dogs and more are available for grilling delights. Additionally, they have an impressive selection of the local favorite ice cream, Toft’s. Toft’s is a locally owned dairy based in Sandusky, Ohio. They have been an operational dairy since 1900. So, this makes them the oldest family owned dairy in the State. Include the Island General Store in your trip to Put-in-Bay. Whether you are just coming for the day or staying overnight, they have what you need. This rings especially true with toiletry items. Often times, guests will forget tooth brushes and like. Fortunately, this store has a nice selection of personal hygiene products. Stop in and see for yourself all of their wonderful offerings.